In addition to reading Daily Meditations online, get your copy of our Daily Meditations Series of Books: the Words to Live By Series. Read famous quotes by authors and well-known personalities such as Gandhi, Confucius, Lau Tzu, Henry Ford, George Washington Carver, Seneca and many, many others. These positive, enlightening quotes are accompanied by beautiful, full-colored illustrations which enhance the reading experience. Fill your life with affirmations, positive thoughts and realistic meditations to enhance your personal well-being, keep your emotional health and find balance in today's chaotic world. Get your paperback or Kindle (e-book) versions of our book today and help our mission of making the world a more beautiful, positive place today! "True happiness is…to enjoy the present, without anxious dependence upon the future." Inspirational meditations featuring quotes from Aristotle, Confucius, Gandhi and many others designed to help you find and keep your happiness! Each of these 31 quotes is accompanied by beautifully illustrated, full-color photographs. Whether for yourself or as a gift for a loved one, you will love these beautiful, inspirational meditations. Inspirational quotes by Lau Tzu, Seneca, George Washington Carver, Henry Ford and many others. 51 thoughtful meditations designed to keep you on top and find your inner peace. Includes beautifully illustrated, full-color photographs. Get yours today! 45 Inspirational quotes by Buddha, Lau Tzu, Winston Churchill and many others. 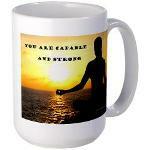 Designed to help you improve your mental attitude and face life with more resilience. Includes beautifully illustrated, full-color photographs. 43 Inspirational quotes by Gandhi, Socrates, Lau Tzu, Benjamin Franklin and many others. Use these meditations to help you keep your mind uplifted and stop focusing on the negative. Includes beautifully illustrated, full-color photographs. 44 Inspirational quotes by Gandhi, Buddha, Plato and many others. These quotes will help you explore themes of peace and your own personal spirituality. Includes beautifully illustrated, full-color photographs. Get the Weekly Meditations Book! Just published - the Weekly Meditations Book! What is Weekly Meditations? 52 Inspirational Weekly Meditations to Keep You Centered, Inspire You and Help You Get Through Those Particularly Tough Times. We've taken the best of Daily Meditations and compiled a 52-week book that you can buy for yourself or gift to a friend. You will find many of your favorite meditations in this book, including "Take Care of You," "Don't Be Afraid of Criticism," "You are Beautifully and Wonderfully Made," and many others. Available as paperback or electronic download. You are a problem-solver. There is nothing you will encounter that you can’t figure out a way up, under, around or beneath. Problem-solve your way through this current difficulty. You can do it!